Obituary for Joyce Corinne (Arnold) Parkhurst | Providence Funeral Homes & Crematorium Inc.
Joyce was born in Chilliwack, BC and moved several times as a child before returning to Chilliwack in her teens. During her childhood she developed strong faith in God which helped her through difficult times. Throughout her life, Joyce provided support and encouragement to others by her demonstrated trust in the promises of the Bible. She and her husband, Lige, raised three children on rural acreage of Elk Mountain. In 1979, they moved to Meadow Valley acreage outside Summerland and then moved to town after Lige had a stroke in 1985. 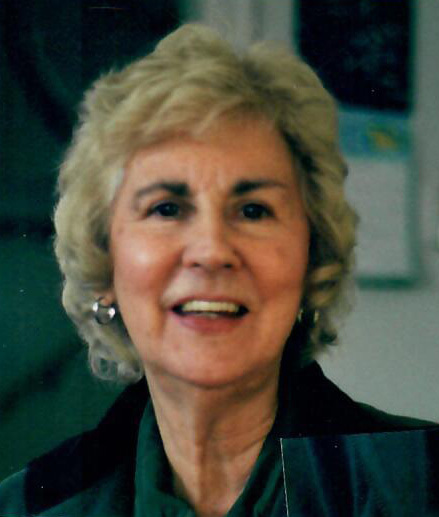 Joyce cared for her husband until he died in 2000. She had lived in Cedar Arms with her cat Pedro since 2006. Joyce, like her name, was a joyful person with a lively personality. She was a gifted homemaker and talented craftswoman who shared her skills with family and friends. She loved nature, rural living, and cats and dogs. A great cook with warm hospitality, she prepared memorable meals for family and could put together the best lunches for company. Joyce was predeceased by her brother Leonard Arnold in 1981 and her husband Elijah ‘Lige’ Parkhust in 2000. She is lovingly remembered by her brother Donald Cleese (Debrah); children Gail Guenther (Neil), Brenton Parkhurst, and Steven Parkhurst (Linda); grandchildren Krista Clement (Loen), Nicole Piket, Carmel Piket, Erlina Savoie (Curtis), Megan Elderkin (Brian), and Dylan Parkhurst (Tami); and great grandchildren Haley, Ethan, and Joshua Kachkowski, Justin and Tyler Kwiatkowski, Marcel and Cadence Savoie, Vincent Elderkin, and Boone Parkhurst. Joyce’s Celebration of Life will be held on Wednesday, April 24, 2019 at 1:30 p.m. at Providence’s Summerland Chapel, 13205 Rosedale Ave., Summerland, BC.